My Book, “How to Really Play the Harp from a Fake Book” presents a new and easier way to play from a fake book, as well as from written out harp music. It uses my Schanie Pattern Positions and Notation that I developed specifically for the harp. This book is available in PDF or Printed format and is only available here on my website. Located between Cincinnati and Dayton Ohio, I am available for in person lessons and performances in this area. I also give lessons via Skype for those outside of this area. “Morning Gliss” was written especially for lever harpists to allow them to play glissandos like those on the pedal harp instead of the scale type glissandos that are usually played. Check out the product detail page to watch the video of me performing the piece. It is available in PDF or Printed format. 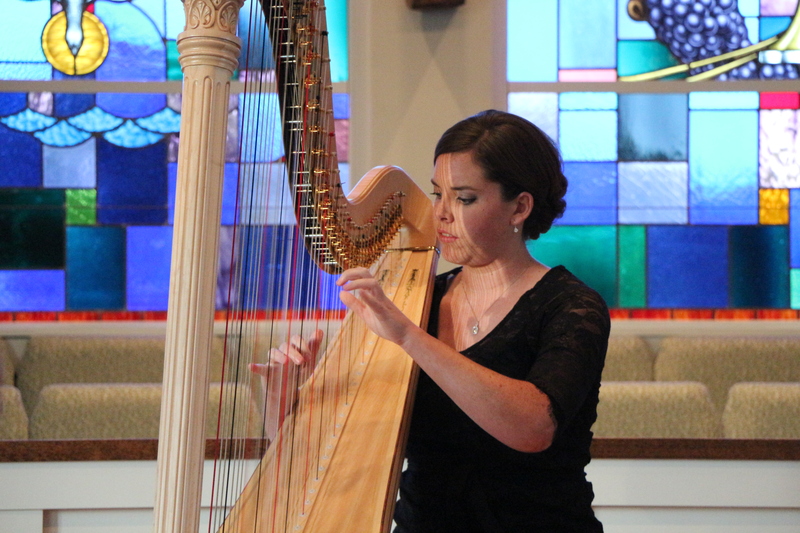 “Smithgall Serenade” is a pedal harp solo, or it can be played with up to three additional lever or pedal harps. Check out the product detail page to watch the video of me performing the piece. It is available in PDF or Printed format. Both of these pieces of music are only available here on my website. Get music for your special occasion!